I arrived in Japan yesterday to study at Waseda University with professor Yoshimura. 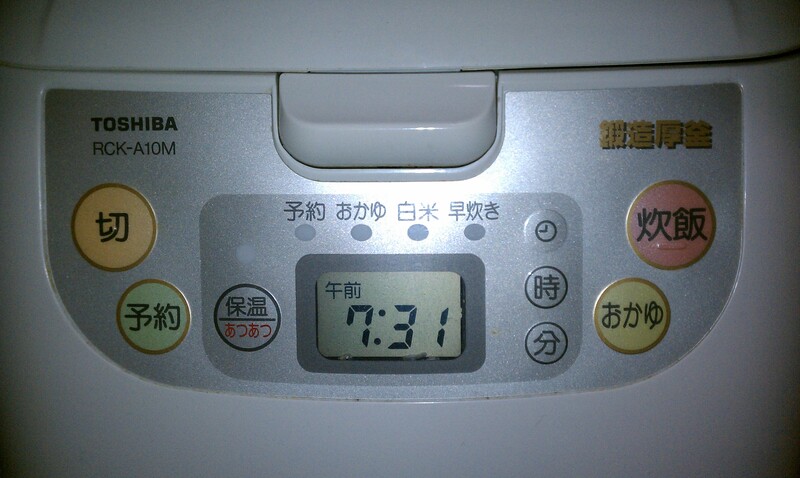 I’ve gotten situated, but I can’t figure out how to use my rice cooker and my hot water pot since I can’t read Kanji (see picture, feel free to comment). vending machines are everywhere (Cigarettes, coffee, soda, etc). Many of them say “Boss” on the side. Most people speak some English, but it’s satisfying to see how far you can get with Japanese. Most people have assumed I’m from Japan which is a problem since they aren’t ready for me to not understand them. Perhaps if I wear my sunglasses they will think otherwise. You really need Kanji to get around. All verbal knowledge is useless for navigation. The 切 means shut off power. The pouches are refills for bottles with squirting pumps on the top. 給湯 is to dispense. You know 時 is hour/time and 分 is minute, right? おかゆ is porridge. 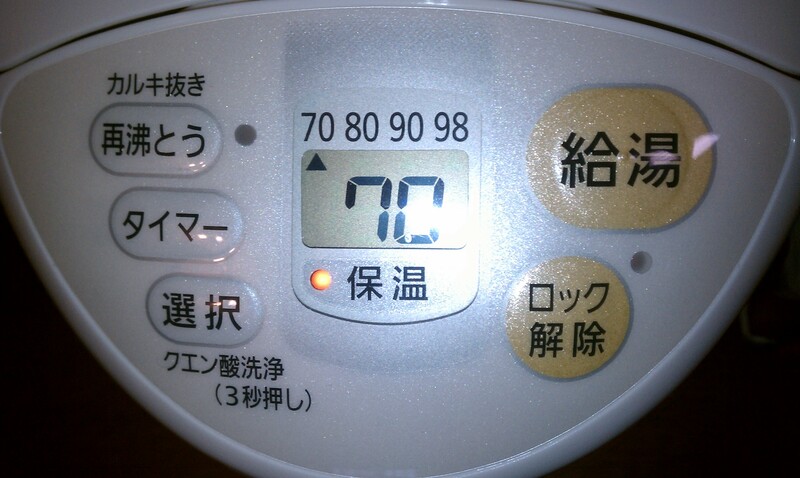 タイマー is timer :) Do you have an electronic kanji translator? It might be nifty to get one in akihabara, especially one you can draw characters in with your finger. Also I think there isn’t that much dairy because of the tsunami. I always ate a lot of yogurt and cheese and milk before. Email me if you need any other advice! I love to travel all over the world. I really enjoy reading your blog very much. Thanks for sharing this post.